FIA Sports Management and Association Football Coaches and Trainers (AFCAT) are proud to announce a one day seminar will be conducted at Veneto Club, 191 Bulleen Road, Bulleen with Adelaide United Head Coach Josep Gombau this Sunday 28th September 2014. Josep Gombau will discuss the Spanish methodology and Barcelona Academy culture. The Event is FREE for AFCAT Members and $30 for non-members. Book your place now! 3:00pm WORKSHOP CLOSE FOLLOWED BY KICK OFF of NPL GAME FEATURING BULLEEN v WHITTLESEA. Josep Gombau will soon begin his second season in the Hyundai A-League with Adelaide United and has been joined at the club very recently by Guillermo Amor, who takes up the position as technical director, forming quite a formidable coaching team. Josep Gombau was a goalkeeper, but switched to coaching at the age of 16. After coaching youth teams in C.F. Amposta and R.C.D. Espanyol, he was signed by FC Barcelona in 2003 as a youth academy coach. In 2008, he became the technical director of FCB Escola, the FC Barcelona youth football academy opened at the Raffles International School in Jumeirah, Dubai. Gombau moved to Hong Kong to join Kitchee SC as the club’s head coach in 2009. Under Gombau, Kitchee won two league titles, two FA Cups and one League Cup. Before the 2012 AFC Cup away match to Tampines Rovers, Kitchee captain Chu Siu Kei applauded the contribution of Gombau to the team, saying: “The coach understands that the players might be smaller than those in the other teams, but using the ball more on the ground gives us an advantage over our opponents. We have more control of the game now”. 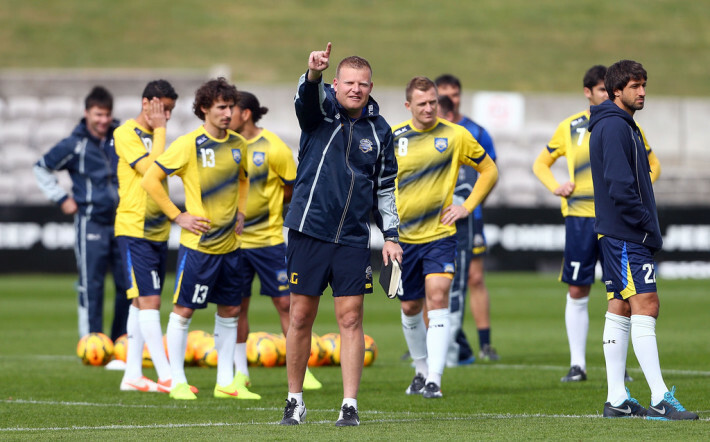 On 30 April 2013, it was announced that Gombau would leave Kitchee to coach Adelaide United in the A-League. He signed a two-season deal, arriving at the club in July 2013. His first two signings were compatriots and Barcelona youth products Sergio Cirio and Isaías Sánchez. Gombau also brought his long-time assistant coach Pau Marti to work alongside existing assistant coach Michael Valkanis. Gombau stated that he wanted to implement a possession-based football style at Adelaide. Gombau actively exercised his ambition to develop South Australian grassroots football by hosting free seminars for local coaches.